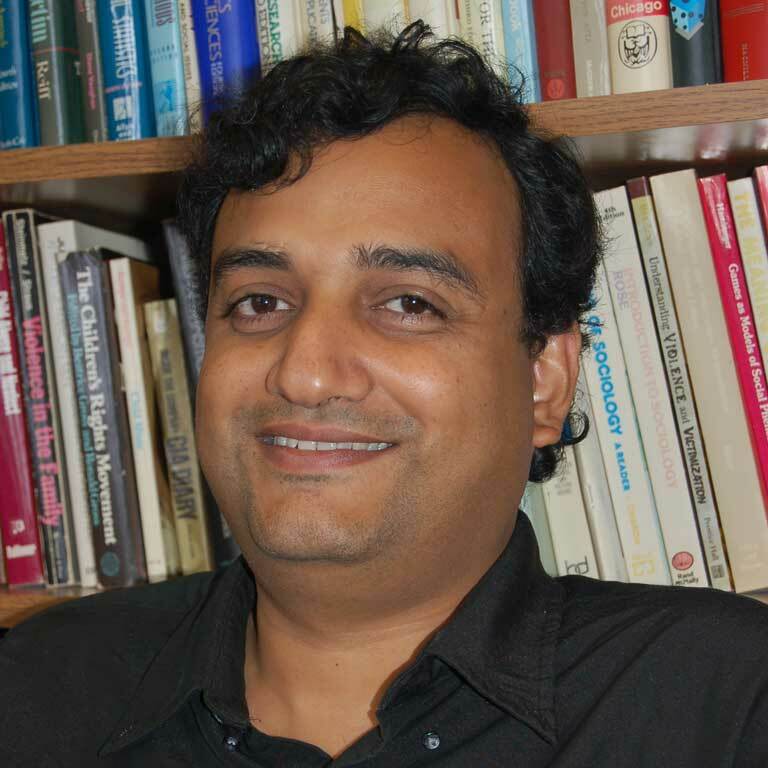 Dr. Aniruddha “Rudy” Banerjee, Associate Professor ¥ Department of Geography, Indiana University, Purdue University at Indianapolis (IUPUI) ¥ Sabbatical at EHS, UC Berkeley 2013-14 ¥ Research Fellow, Prevention Research Center, Berkeley, CA. ¥ Advisor, SmartZIP™ (real estate intelligence startup), SmartZIP.com, Pleasanton, CA ¥ Advisor, Prodigiq™ (Aviation Software Solutions), Prodigiq.com, Thousand Oaks, California His interests are in spatial and computational statistics, spatial econometrics, decision support systems, and applied operations research (environmental and population health). Rudy Banerjee earned his Bachelor of Architecture degree from Bengal Engineering College-University of Calcutta India. Migrating to the United States, he earned an MS degree in Urban and Regional Planning and his doctorate in Geography (environmental epidemiology and GISc) from the University of Iowa. He also has a Graduate Certificate in Transportation Studies from that institution. Rudy has applied combinatorial optimization methods using both integer programming and graph theoretic approaches, Bayesian simulation of hierarchical networks and stochastic optimizations to analyze health information and develop space-time models of population health. Recently, he was invited to present his National Institute on Drug Abuse (NIDA) research at the School of Medicine, Harvard University. Rudy was a recipient of the 2005 (International Medical Geography Symposium’s) Jacques May Dissertation Prize. He has been invited to the National Institute of Health (NIH), Oakridge National Laboratories, Institute for the Future (a Rand Corporation spinoff located at Palo Alto, California; where he is a consultant), University of California at Berkeley and Santa Barbara, University of Washington-Seattle, Harvard University, IUPUI ‘Cutting-Edge Lecture Series’ etc. to share his work on GISc and health. His publications have appeared in Social Science & Medicine, American journal of preventive medicine, Vision Research, International Journal of Medical Science, Substance Use and Misuse, and Clinical and Experimental Research, as well as various book chapters. He is currently assisting a real estate intelligence Silicon Valley startup (smartzip.com) to estimate sales potential using Bayesian predictors. Rushton G, Peleg I., Banerjee A., Smith G. and West M. “Analyzing Geographic Patterns of Disease Incidence: Rates of Late-Stage Colorectal Cancer in Iowa”. Journal of Medical Systems 28 (3): 223-236. Lipton, R., Banerjee, A, Dowling, K.C., and Treno,A The Geography of COPD Hospitalization in California. Journal of COPD 2(4): 435 - 444, 2005. Banerjee A. ‘Temporal Changes in the Spatial Pattern of Disease Rates Incorporating Known Risk Factors’ (accepted). Social Science and Medicine. Bruno L, Brennen T, Elden A, Paulsen HG, Lipton RI and Banerjee A. ‘Latitude-of-birth and Season-of-birth Effects on Human Color Vision in Individuals Born Above or Below the Arctic Circle’ .Vision Research 47 (2007) 1595–1607. (http://www.elsevier.com/wps/find/journaldescription.cws_home/263/description#description). Banerjee A., LaScala E, Gruenewald PJ, Treno A, Remer L and Freisthler, B. ‘The Structure of the Built Environment and Space-Time Models of Drugs and Violence’. Association of American Geographer and National Institute of Drugs and Alcohol Symposium Book Chapter (peer reviewed). Russell, M., Chu, B.C., Banerjee, A., Fan, A.Z., Trefisan, M., and Gruenewald, P.J. Drinking patterns and myocardial infarction: A linear dose-response model. In press, Alcoholism: Clinical and Experimental Research. Lipton, R., Gorman, D., Wieczorek, W., Gruenewald, P.J., and Banerjee, A. Geography and public health: Putting people in places. In M. Khosrow-Pour (Ed.) Encyclopedia of Information Science and Technology, 2nd Ed., Hershey, PA: Information Science Reference, IGI Global Inc., 2009.